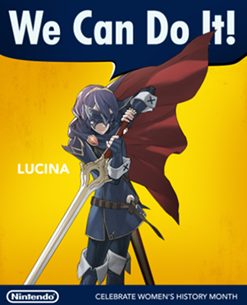 Nintendo of America contacted me with an email regarding various leading ladies and sensational female supporting characters in Nintendo's grand history. Why? Because it's Women's History Month for the month of March. To put it more succinctly, I'll let Nintendo do it themselves! 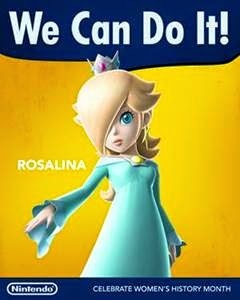 In Honor of Women’s History Month, Nintendo is highlighting some of everyone’s favorite female characters such as Samus Aran, Rosalina and Toadette. Paving the way for diverse and interesting female protagonists in video games, Nintendo has picked a few of their popular leading ladies that merit this recognition for the month that honors outstanding women. 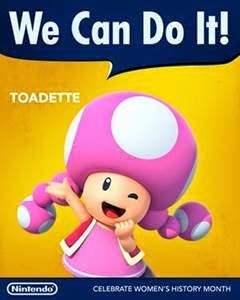 Here is but a sampling of the all-stars of the female persuasion that Nintendo has to celebrate Women's History Month. 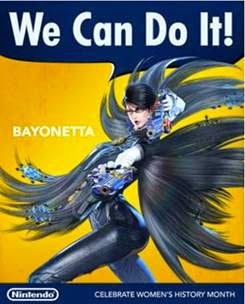 Bayonetta is a sassy and incredibly stylish witch with pistol-stilettos and a vendetta against the armies of angels and demons that hunt her. She’s a force to be reckoned with, an ally to her best friend and fellow witch Jeanne and doesn’t take flak from anybody. 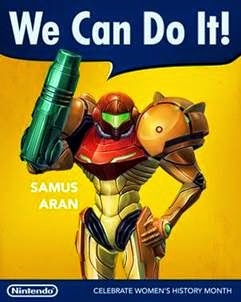 Samus Aran shocked the video game world at the end of the original Metroid game by revealing her gender and changing the way we think about video game characters in the process. 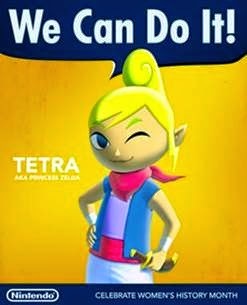 Video game protagonists need not be male in order to be strong. Samus is a space bounty hunter in an armored suit, outfitted with a powerful blaster on the arm and extreme heat resistance. 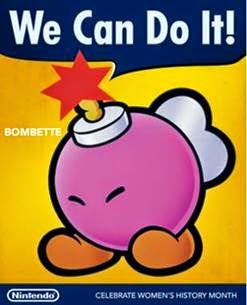 Bombette is a Bob-omb who joins Mario on his quest in the original Paper Mario for the Nintendo 64. As a member of Mario’s diverse team of fighters, she has an explosive fighting style and isn’t afraid to get physical with her body slam and powerful bomb attacks.